Eurodollar continues growing up, breaking target levels one by one. Closest target for bulls is the group of fibo levels at 1.3850: if they rebound from these levels, pair may reverse downwards. 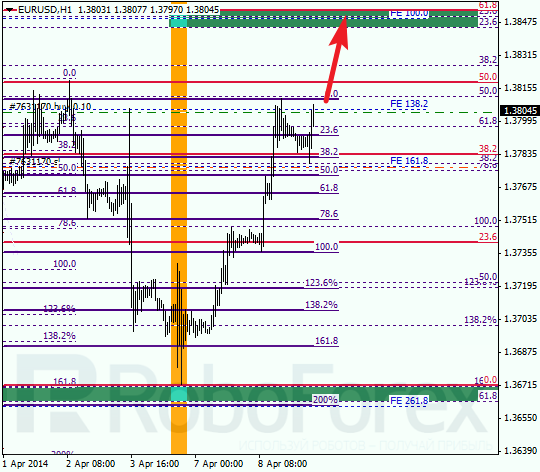 As we can see at H1 chart, market rebounded from correctional level of 38.2%. Possibly, in the nearest future pair may break maximum and reach upper target levels. I’ll move stop on my orders into the black as soon as market starts moving upwards. Bears are still in charge; price is moving at level of 50% and may break it during the next several hours. 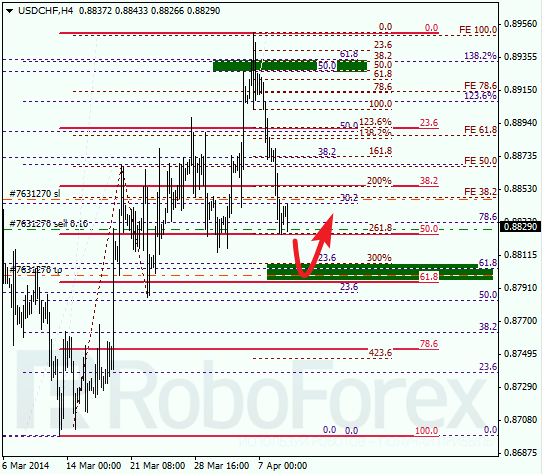 Main target is at level of 61.8%, pair may reach this level and then rebound from it. During local correction, I opened short-term sell order with tight stop. 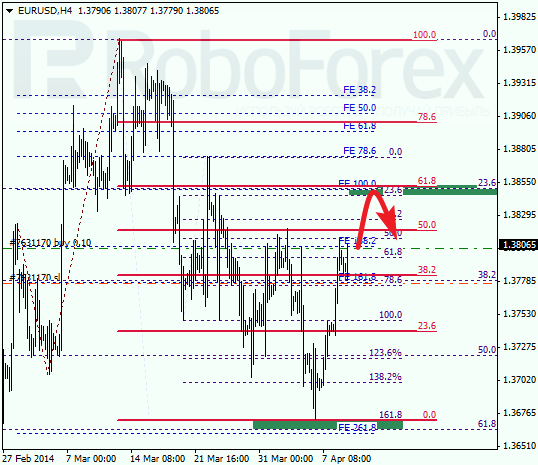 Earlier market rebounded from the group of upper fibo levels right inside one of temporary fibo-zones. Probably, Franc may reach new minimums during the day.